I have always wanted to go on this tour, but always seem to be busy each time it rolls around. It sounds like such a cool event so I wanted to make sure others knew about it so you don’t miss this fun opportunity to see urban chickens! The Sixth Annual Raleigh Tour d’Coop will be held this Saturday May 21, 2011. The Henside the Beltline Tour d’Coop is a one-day garden tour in and around downtown Raleigh. Open to adults and children, the tour showcases various hen houses and breeds. Coop owners are on hand at each location to discuss the how-tos of chicken keeping and there are opportunities for photographing and getting to know the chickens. 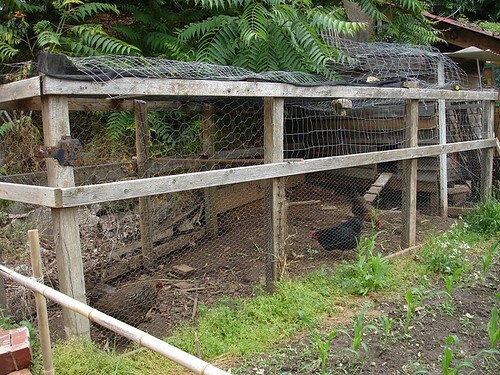 The wide variety of coop styles as well as the surrounding back yard gardens make the tour interesting for the whole family while providing an opportunity to learn about raising chickens in a healthy neighbor friendly environment, and see how families integrate chickens into their gardening practices. For more information about the tour and where you can get your tickets on Saturday visit the event website here.